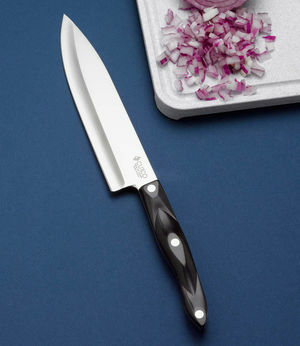 Bestseller $136 A shorter version of the 9-1/4" French Chef. The essential knife for cutting fruits and vegetables and is ideal for chopping, slicing, dicing and mincing. Pick up and transfer ingredients with wide blade. A classic for all great home cooks. 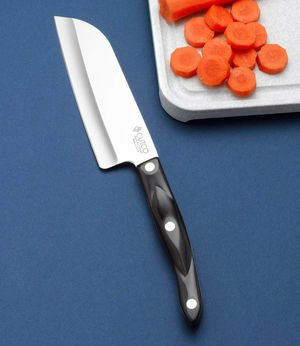 $149 The essential knife for cutting fruits and vegetables, this knife is ideal for chopping, slicing, dicing and mincing. Its wide blade is perfect for moving ingredients from the cutting board to the pan. Achieve professional results at home. $137 This multi-functional knife chops, slices and dices meats and vegetables with ease. 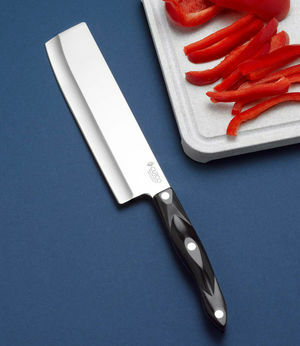 Use it for everything, from slicing sushi and butterflying chicken breasts to dicing vegetables. Ultra-sharp straight-edge blade cuts smoothly. Wide blade for easy transfer of ingredients. Low tip ideal for intricate cutting and boning. 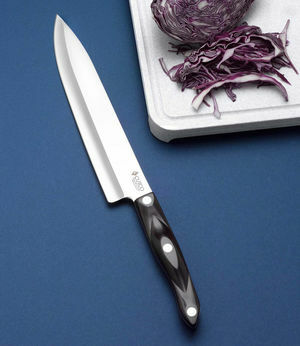 $124 A smaller version of Cutcos 7" Santoku. 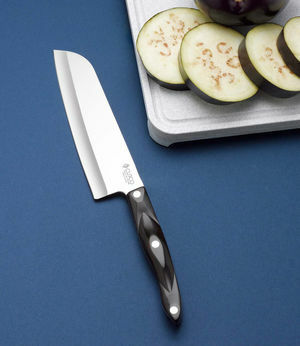 This knife is designed for smooth chopping, slicing and dicing of small fruits and vegetables. Ultra-sharp straight-edge blade cuts cleanly. Wide blade for easy transfer of ingredients. Low tip ideal for intricate cutting and boning.